According to the World Prison Population List, the United States has the highest prison population with 716 incarcerated per 100,000 (Walmsley, 2013), and these high rates of incarceration occur regardless of the fact that victimization rates do not differ from that of Western Europe (Dijk, Kesteren, & Smith, 2007). More concerning though, is that the prevalence of mental health disorders is higher among the incarcerated population than the outside community (Campbell et al., 2016). Indeed, the rate of pottraumatic stress disorder (PTSD) in this population is between 4- 21.4% (Campbell et al., 2016) and of the 105,500 women who were serving a year or more in state or federal jurisdiction, almost half had been physically or sexually assaulted prior to incarceration (Lynch et al., 2012). Higher rates of legal involvement among men who experienced sexual abuse have also been documented (Leach, Stewart, & Smallbone, 2016). Thus, exposure to trauma and resulting symptoms are a serious concern among justice-involved individuals, but unfortunately empirical data related to this population are limited. This paper will explore how adverse childhood experiences and exposure to trauma can affect incarcerated persons before and during their prison sentences, and will be considered in the context of California’s overhaul of the use of solitary confinement within the prison system. According to Felitti et al. (1998), who first studied adverse childhood experiences (ACEs), there is a strong relationship between exposure to abuse and household dysfunction during childhood and mental health problems as an adult. Those who were exposed to one type of abuse or household dysfunction were likely to be exposed to even more ACEs (Felitti et al., 1998). The higher rate of mental health problems and its connection to negative childhood experiences can be explained by the ACEs study. ACEs are defined as childhood abuse (psychological, physical, and sexual abuse) and household dysfunction (substance abuse, mental illness, mother treated violently, and member imprisoned; Felitti et al., 1998). Childhood sexual abuse (CSA) is associated with other types of ACEs, and there is a correlation between experiencing CSA and having other ACEs (Dong et al., 2003). This is important because of the implications for incarcerated persons who have experienced more ACEs than the general population (Reavis et al., 2013). Thus, trauma symptoms and ACEs are elevated in incarcerated populations but there is a lack of research examining specifically how these things are related to one another. Due to the gap in the literature we have a limited understanding of trauma exposure and the resulting symptoms in this population which impacts our ability to develop effective treatments. Research has shown that ACEs are seen in individuals who are involved in the justice system. Salter and colleagues (2003) conducted a study of males (N= 224) who were referred to a sexual abuse services clinic at a mean age of 11 in London. Results indicated 3.1% had considered to have been convicted of a sexual offense, and 8.5% had engaged in sexually abusive behavior (Salter et al., 2003 as cited in Leach, Stewart, & Smallbone, 2016). Ogloff and colleagues (2012), found that 23.8% of the sexual abuse group had at least one offense compared to the 5.9% of the comparison group (Ogloff et al., 2012). The individuals were more likely to be sexually abused (M= 32.6 vs. 19.2) and were more likely to be imprisoned (4% vs. 0.05%; Leach, Stewart, & Smallbone, 2016). For each ACE identified, there appears to be an increased risk of violence in males (35-144%; Reavis et al., 2013).This study showed that there were higher rates of traumatic events in the male offender population than the normative. The incarcerated population is shown to have an increase in ACEs, specifically, sexual abuse in incarcerated men. In 2013, I had the opportunity to assist a professor at San Quentin Prison in California with teaching psychology to incarcerated individuals. During one class, the professor taught Erickson’s stages of development, to which the men quickly gravitated because it resonated with them and their experiences within their families of origin. The first stage (trust vs. mistrust) was something that most of the men agreed they never completed, and developed mistrust for others, which led to not successfully complete the other stages. I presented information on PTSD, and the prison system during the following class. The men discussed how there is trauma before prison, and how prisons will continue this cycle. I found this very important to this study in which there is a connection between trauma in childhood and the incarcerated population. Every single one of the men I worked with had experienced some ACE. This was very different from what I saw when I was working at practicum sites. Symtpoms of PTSD have implications for the functioning and well-being of the individual. It is important that counselors and therapists identify the symptoms of PTSD and use appropriate interventions. However, due to mental health stigma and the lack of access to treatment this can be difficult for some. Trauma-focused therapies (TFTs) have become the main way to treat PTSD (Lenz, Haktanir, & Callender, 2016). TFTs include; trauma-focused cognitive behavioral therapy (TF-CBT), prolonged exposure (PE), cognitive processing therapy (CPT), and eye-movement desensitization and processing (EMDR; Campbell et al., 2106; Lenz et al., 2016). These therapies focus on working through the traumatic memories, and symptoms of PTSD. Within the prison system there are many challenges that can make receiving appropriate treatment difficult. These challenges include restrictions to incarcerated individuals, surprise lock-downs, transfers, and finding a space within the prison for trauma-focused interventions (Campbell et al., 2016). Even with advancements in research on the benefits of TFTs there is still a limited amount of trauma-focused interventions within the prison system. According to the Bureau of Justice Statistics, the incarcerated population meets criteria more often than the general population for mental health problems. Although the field has recognized this higher rate of mental health diagnosis in this population, studies on this topic have not been updated. Research on ACEs is very limited in the incarcerated population specifically for men. Databases such as EBSCOhost, Google Scholar, and university libraries were searched extensivelyfor “trauma in incarcerated individuals,” “prisoners and trauma,” and “adverse childhood experiences.” The research studies that were found either used a convenience sample or used mental health prisons, and utiliziedFellitti’s initial sample from the 1980s. Similar to ACEs, the consequences of trauma exposure within and before going into the correctional setting can have physical and mental health costs. Based on the literature, incarcerated individuals have been exposed to more trauma than the general population, have an increased chance for mental illness, and continue to be re-traumatized within the correctional setting. New research needs to be done to compare trauma before incarceration to a control sample based on the population from this decade. A trauma-informed framework should continue to be implemented into correctional facilities because it is essential to understanding the trauma cycle, and assisting with establishing rapport. Campbell, C. A., Albert, I., Jarrett, M., Byrne, M., Roberts, A., Phillip, P., … Valmaggia, L. (2016). Treating multiple incident post-traumatic stress disorder (PTSD) in an inner city London prison: The need for an evidence base. Behavioural and Cognitive Psychotherapy,44,112-117. doi:/10.1017/S135246581500003X. Dijk, J. V., Kesteren, J. V., Smith, P. (2007). Criminal Victimisation in International Perspective: Key Findings from the 2004-2005 ICVS and EU ICS. Hague, NL: Book Juridische. Lynch, S. M., Heath, N. M., Mathews, K. C., & Cepeda, G. J. Seeking safety: An intervention for trauma-exposed incarcerated women? Journal of Trauma and Dissociation,13,88-101. doi:10.1080/15299732.2011.608780. Reavis, J. A., Looman, J., Franco, K. A., & Rojas, B. Adverse childhood experiences and adult criminality: How long must we live before we possess our own lives? Permanente Journal,17, 44-48. doi:10.7812/TPP/12-072. 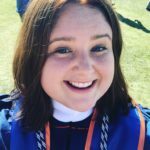 Kayleigh Watters received her master’s degree from Pepperdine University in clinical psychology with an emphasis in marriage family therapy. She is now a doctoral student at Palo Alto University’s PhD clinical psychology program where she is beginning her training as a trauma focused clinician. Currently, She is working at a middle school as an MFT intern in Mountain View, CA. 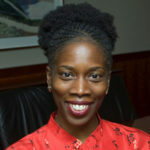 Thema Bryant-Davis is a professor of psychology at Pepperdine University’s Graduate School of Education and Psychology and director of the Culture and Trauma Research lab.